The story about contamination of ayurvedic supplements concerns an analysis of products bought online. 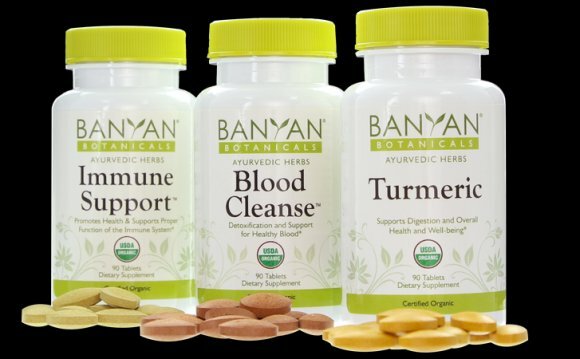 Researchers from Boston University School of Medicine found that nearly 21 percent of the ayurvedic herbal supplements they purchased via the internet contained lead, mercury or arsenic that exceeded acceptable standards. The supplements were produced in India and the United States and sold through U.S. Web sites. Unfortunately, no one knows if anyone has been harmed by ayurvedic supplements. The study's authors noted more than 80 known cases of poisoning had been reported worldwide since 1978, but the lead investigator, Robert B. Saper, M.D., was quoted as saying that number may be just the tip of the iceberg. In 2005 alone, the Centers for Disease Control and Prevention reported 12 cases of lead poisoning associated with ayurvedic products. Dr. Saper noted that even low levels of lead can cause problems. You could feel fine, but the lead could be affecting your cognitive function and raising your blood pressure. Physical symptoms of lead poisoning include abdominal pain, lethargy and constipation. I would be even more worried about mercury. Manufacturers of ayurvedic products and managers of spas that recommend and sell supplements were quoted by The New York Times as downplaying the dangers and insisting that their products are safe, even though some had been found to contain high levels of the metals. According to Dr. Saper's study, the prevalence of metals in products manufactured in the United States was 21.7 percent, compared with 19.5 percent in those made in India. In the ancient practice of rasa shastra, herbs are deliberately combined with metals, including mercury, lead, iron, and zinc; minerals such as mica; and gems including pearls, gold and diamonds. The study found that rasa shastra products were more than twice as likely as other ayurvedic supplements to contain detectable metals and had higher median concentrations of lead and mercury. The researchers reported that several rasa shastra medicines from India “could result in lead and/or mercury ingestions 100 to 10, 000 times greater than acceptable limits." Ayurvedic practitioners say that the metals are “detoxified” by special processes, passed down from long ago, but there is no scientific verification of that claim. Unfortunately, consumers have no way of knowing which supplements are free of contamination and which ones aren't. The FDA doesn't set standards for allowable concentrations of contaminants or limits on daily doses. We have to rely on manufacturers to make sure that their products are safe. And based on the study findings, we can't always trust them.